When I’m not tasting or writing about wines from the “other” parts of North American wine country — meaning not California, Washington or Oregon — I spend a lot of time reading about them. Several regions have been anointed “the next big thing” by various writers and outlets over the years, though I don’t think I’ve ever done it before. New York. Virginia. Maryland. Michigan. Texas. 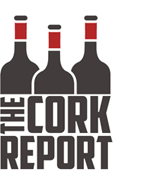 Each has been highlighted for its nascent, emerging wine regions and rightly so. There are uniquely delicious wines made in each. Each deserves more attention, whether or not you think “the next big thing” really matters. Now that I’ve gotten an introduction to its wines, I’d add Idaho to list too. Yes, Idaho. It’s not all potatoes and mountains and trout streams, after all. Earlier this month, I had the opportunity to fly into Boise for a few days of wine tasting and vineyard visits, courtesy of the Idaho Wine Commission. I’m literally still unpacking — both my luggage and my thoughts about everything I tasted and learned — but this much is clear: Idaho’s first and main American Viticultural Area (AVA) — the Snake River Valley — is one of the most unique and diverse I’ve visited. Here on Long Island, we like to talk about the diversity of grapes that are grown and wines that are made, and rightly so. Merlot and chardonnay dominate, but Long Island’s strength resides in the fact that so many grapes work here. Southwestern Idaho takes that diversity to the next level. 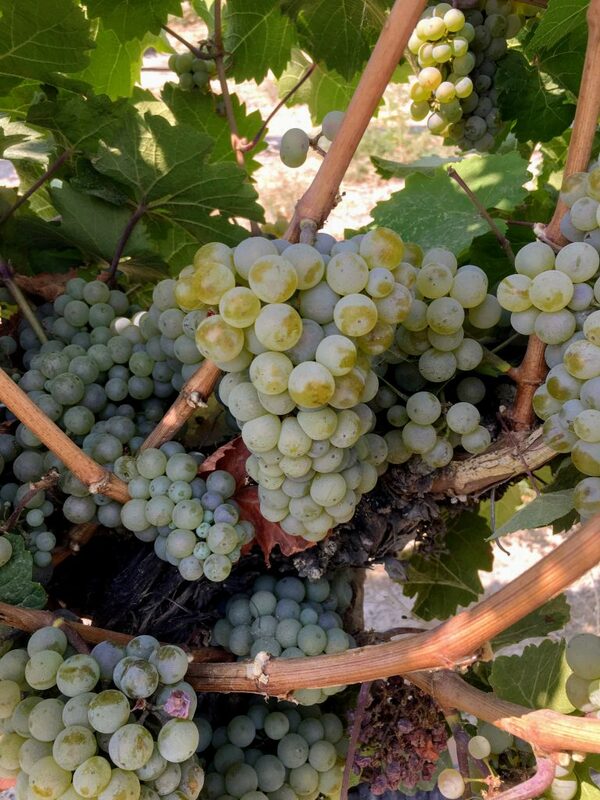 They are growing and consistently ripening everything from zinfandel to cabernet sauvignon to viognier to merlot to syrah. In cooler sites, which tend to be flatter and closer to the Snake River itself, you’ll find grapes like riesling and gewürztraminer too. This is the high desert, so sugars — and thus alcohol levels — are a bit higher than on the East Coast, but the wines also show fresh acidity. It can get well over 100 degrees during the summer but often drops into 50s at night . Those nightly lows help preserve that acidity. 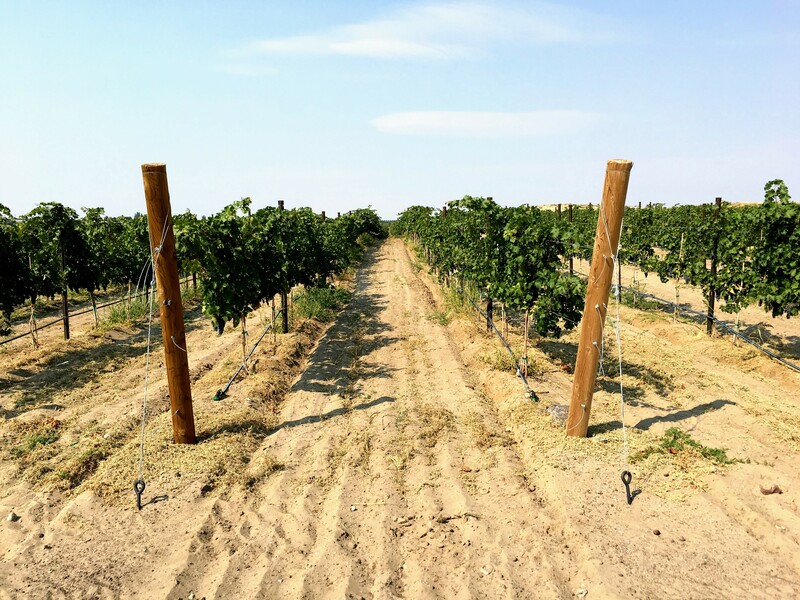 The sand-covered Scoria Vineyards in Caldwell, Idaho. There isn’t a lot of rain in the region, but there is ample water, much of it supplied by snowmelt runoff gathered in reservoirs. Drip irrigation is the norm. The growing season is hot, but it’s relatively short as well. Winter comes early in Idaho and it can be harsh. Of course, that also means that real ice wine — using grapes that freeze while still on the vines — is possible almost every year. Every few decades or so, they do suffer through brutal, damaging winters, however. In the winter of 2017, some growers sustained temperatures of minus 18 degrees Fahrenheit — not for a night or two, either. It was that cold for two weeks, which claimed up to 75 percent of the grape crop that year due to bud and vine damage. Luckily, two feet of snow protected the roots, so there was little need for replanting. Growers had to retrain the vines from the ground up, however. Many of the wineries I visited purchased grapes from neighboring Washington and Oregon to fill out their 2017 portfolios. Some do it regularly anyway, either for stylistic reasons or because there just aren’t enough quality grapes available in Idaho yet. 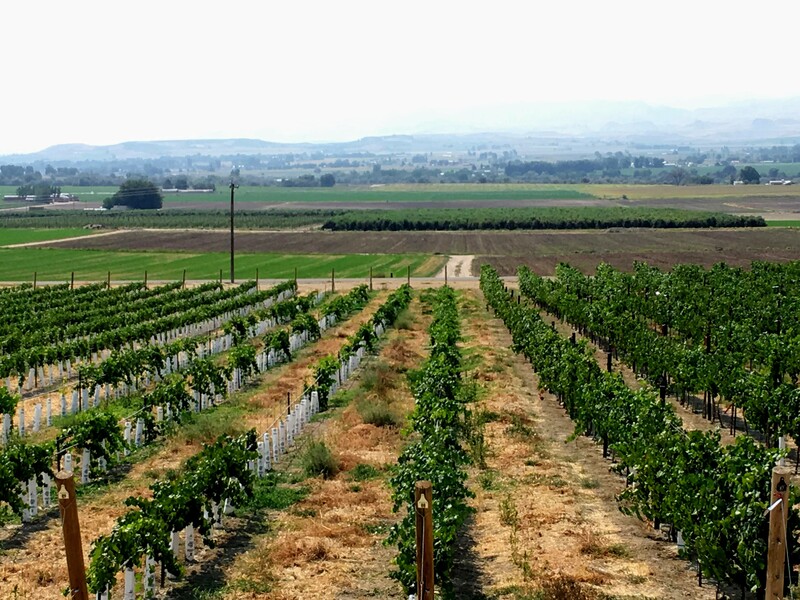 There are about 1,300 acres in the ground for around 50 wineries, with 500 of those acres farmed by a single winery. Still, the region seems poised for potentially explosive growth. Land is still very affordable. Unlike many high desert growing regions, water is readily available. And, with other large, established wine regions in the Pacific Northwest, there seems to be a lot of young winemaking talent looking for opportunities nearby. That’s something we lack here locally: opportunity. What about the wines themselves? They are definitely bigger than what we mostly see here on the East Coast, both in terms of alcohol and extraction. Most of my favorite wines were red and they benefited from judicious use of new oak — both French and American, often mixed — as well. I tasted very few wines that were overtly oaky. Syrah and other Rhône varieties from wineries like Colter’s Creek, Telaya Wine Co. and Koenig Vineyards stood out in particular, though there were a couple rieslings and a dry moscato that I really liked, too. I even found some sparkling wines from 3100 Cellars that were pretty interesting. 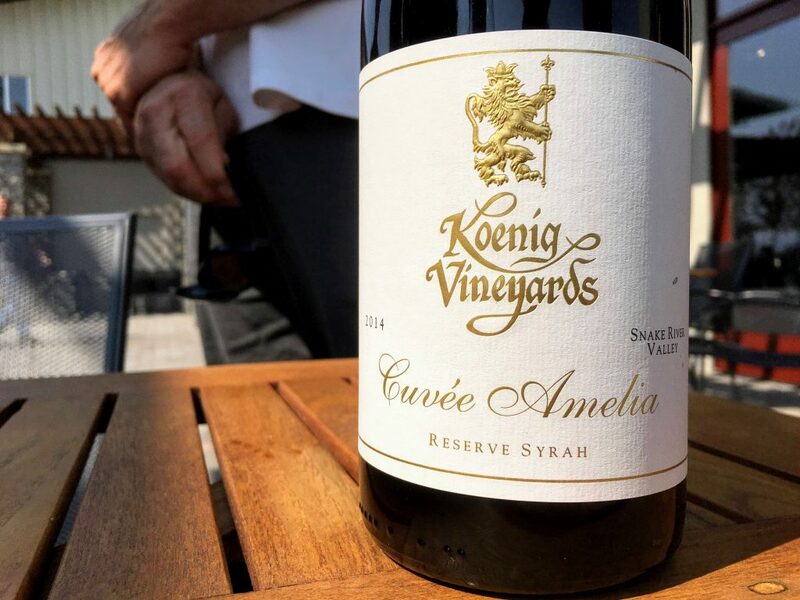 I was impressed with many of the syrah-based wines I tasted in Idaho — this Koenig Vineyards 2014 Cuvee Amelia included. The white wines were a bit of a letdown overall, but most of them weren’t made with Idaho fruit because we were tasting mostly 2017s. I hope to get my hands on some of the locally grown 2018s when they come out next year. I’d like to explore that side of the region more. You won’t find many Idaho wines here in New York, but a couple wineries, including Koenig — which was probably the winery that impressed me most — do have East Coast distribution. A few days’ visit in a region doesn’t really offer enough information or context to fully understand where that region is going, so I’m not going to make any predictions. I’m not sure the Idaho industry as a whole knows what its future looks like. Diversity can be both a blessing and a curse. But Idaho is a pretty exciting place for wine already. And Boise is a beautiful city with great food, great outdoor activities and more culture than you’d ever expect. I already told my wife that I’d like to take the kids there for an outdoorsy (and wine) vacation. A version of this story first appeared in the Suffolk Times/northforker. 3100 cellars colter's creek idaho koenig vineyards sawtooth winery scoria vineyards telaya wine co. Looking forward to getting on the river with you at your next visit! Thanks for coming out here, and for the great press!